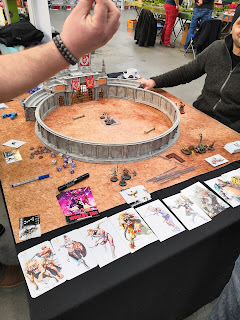 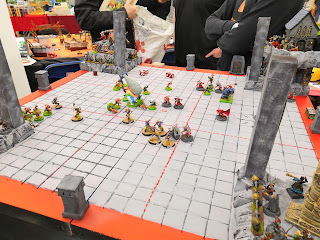 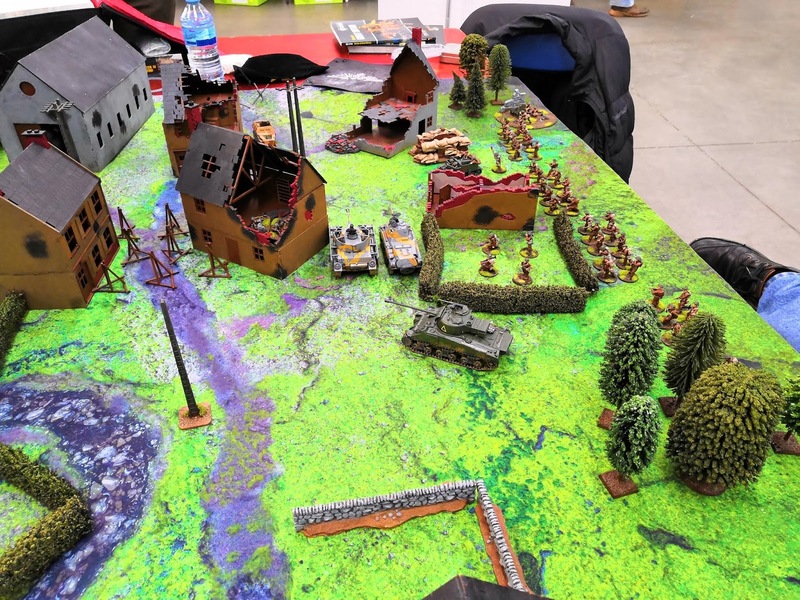 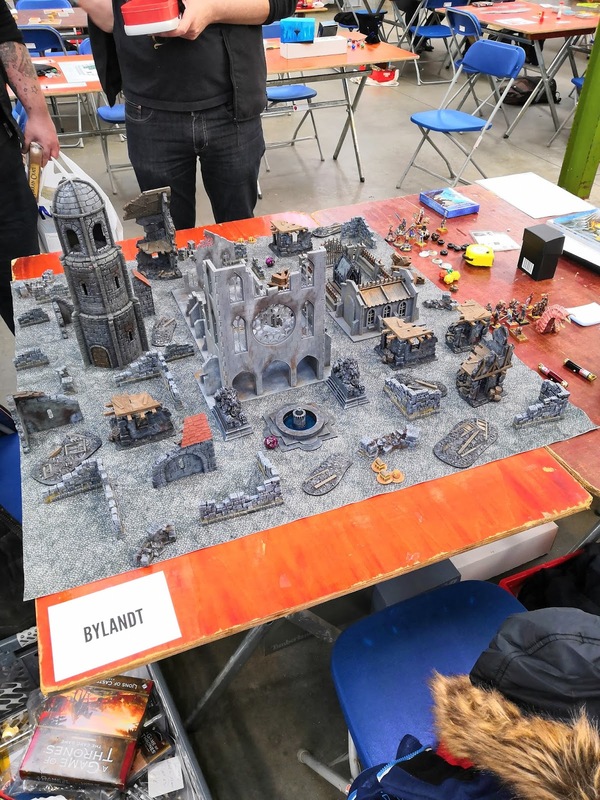 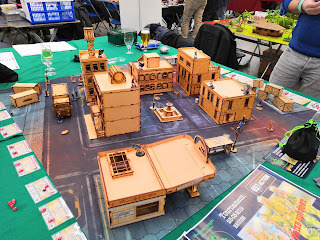 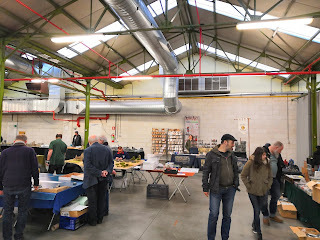 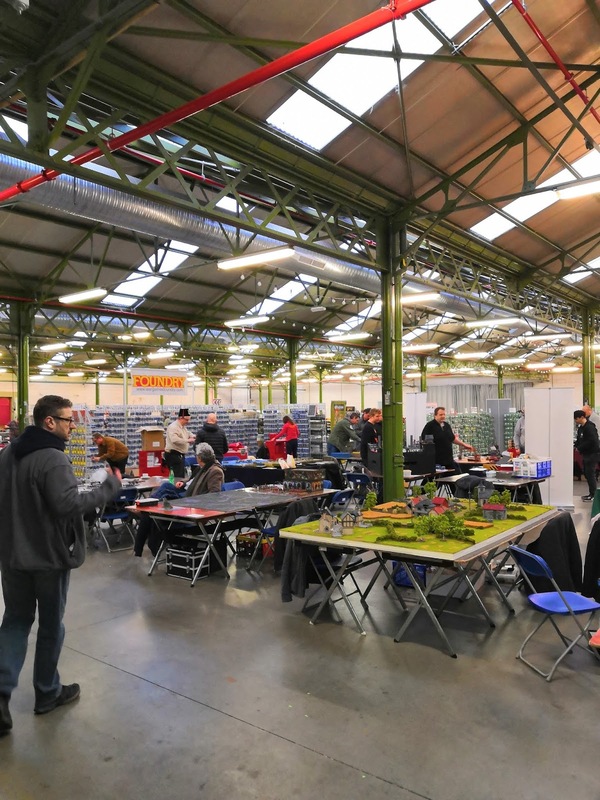 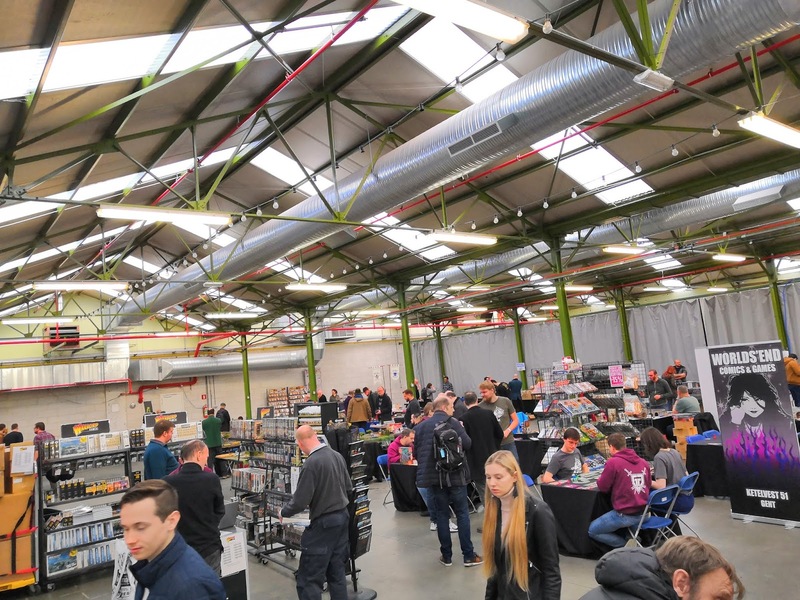 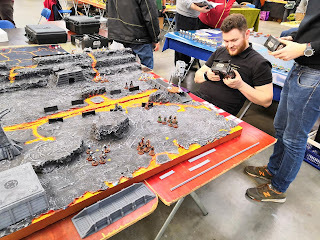 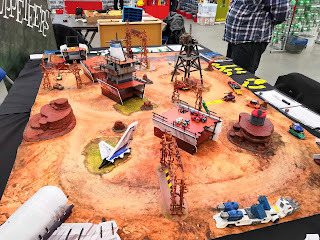 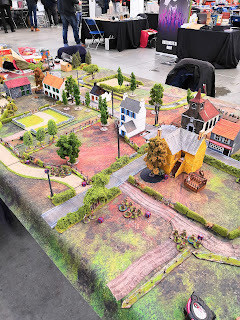 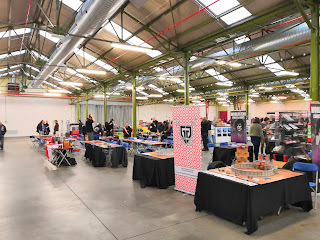 Past saturday, WarCon Ghent took place and me and Nemesis jumped in the car to make a visit to the wargame show, our first roadtrip of this year. 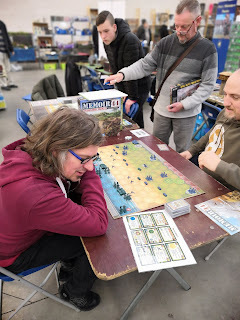 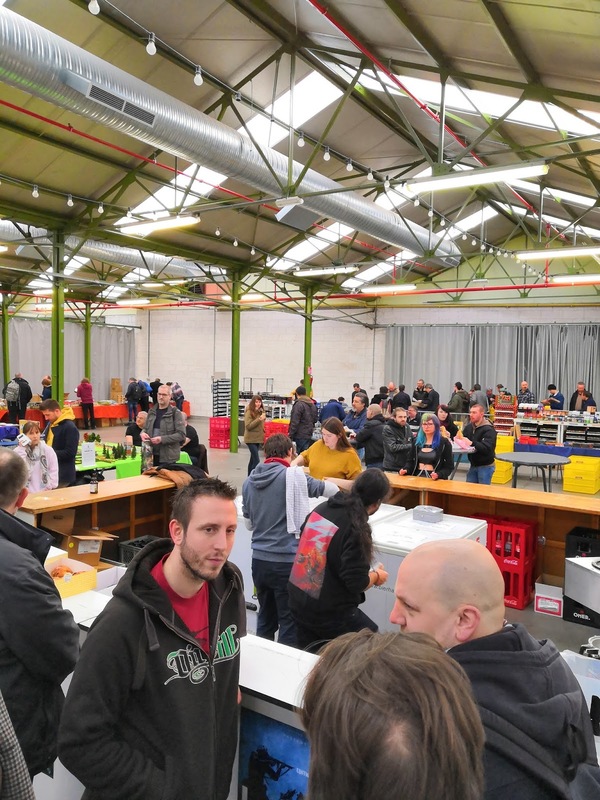 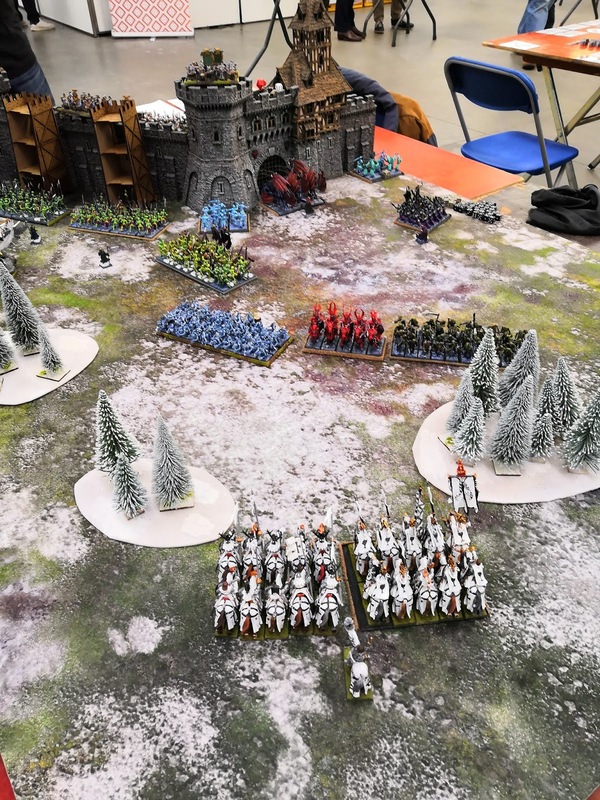 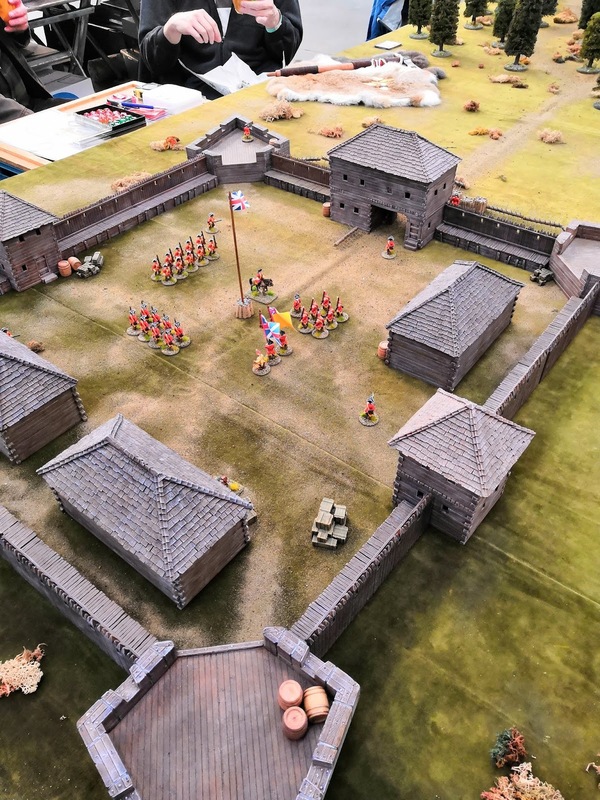 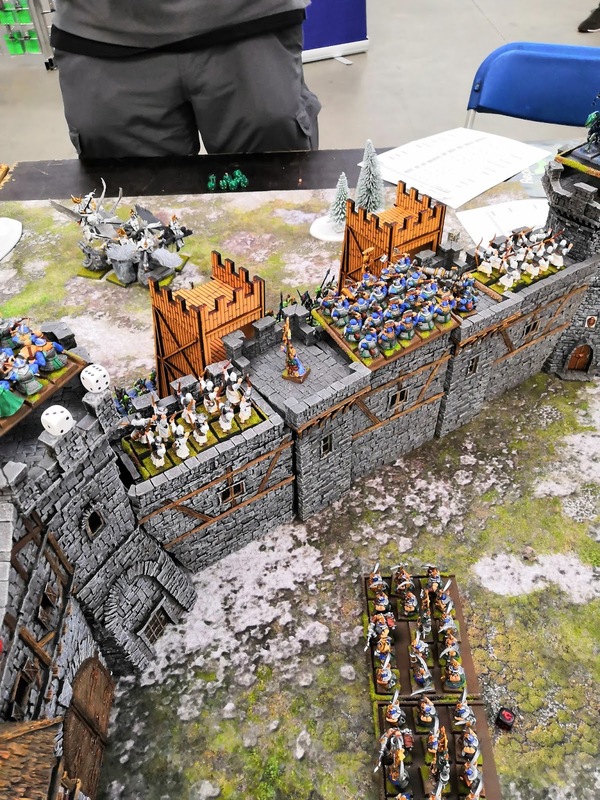 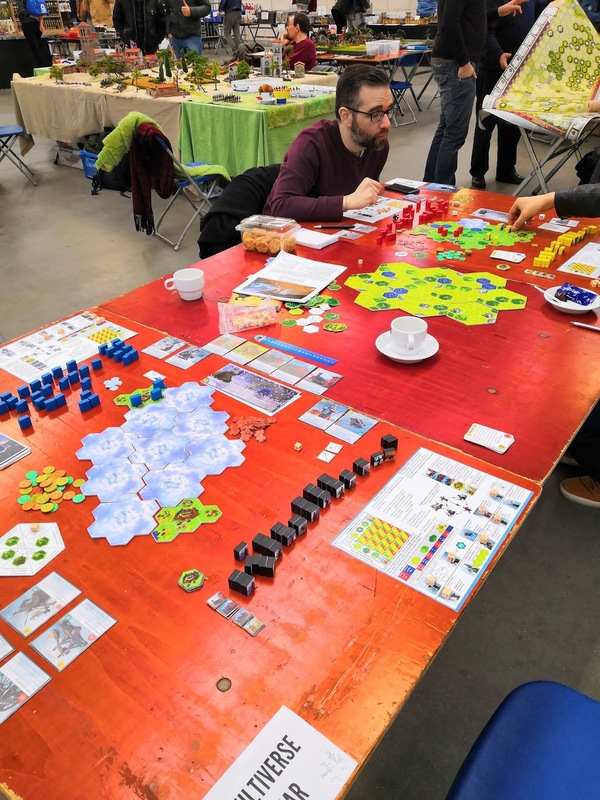 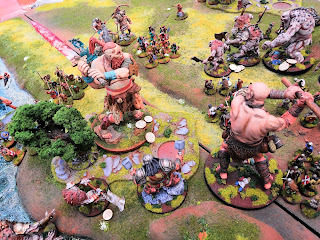 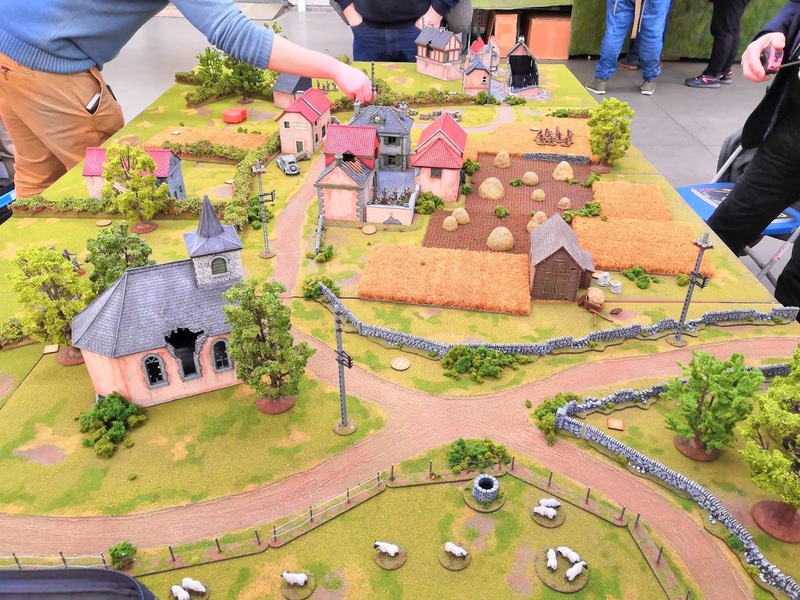 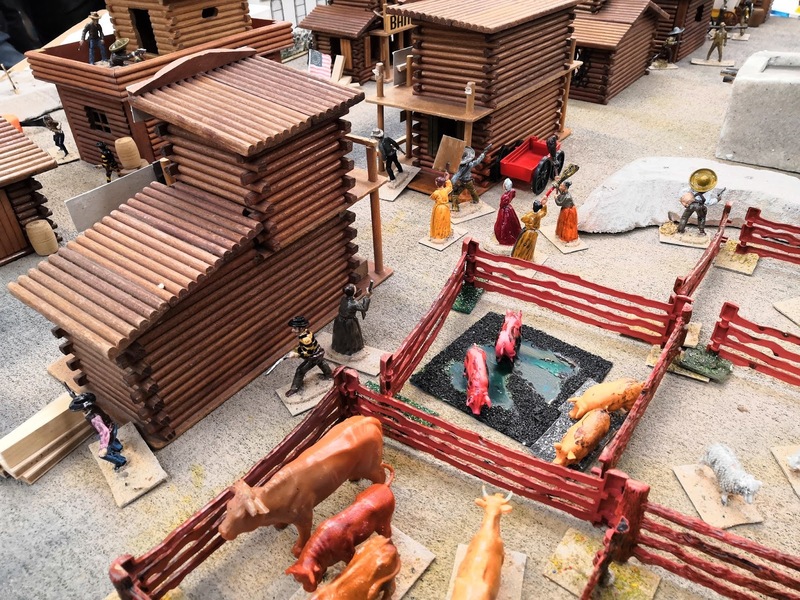 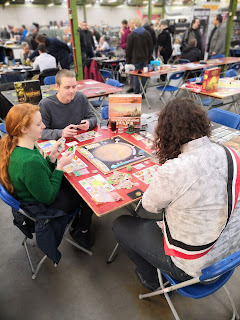 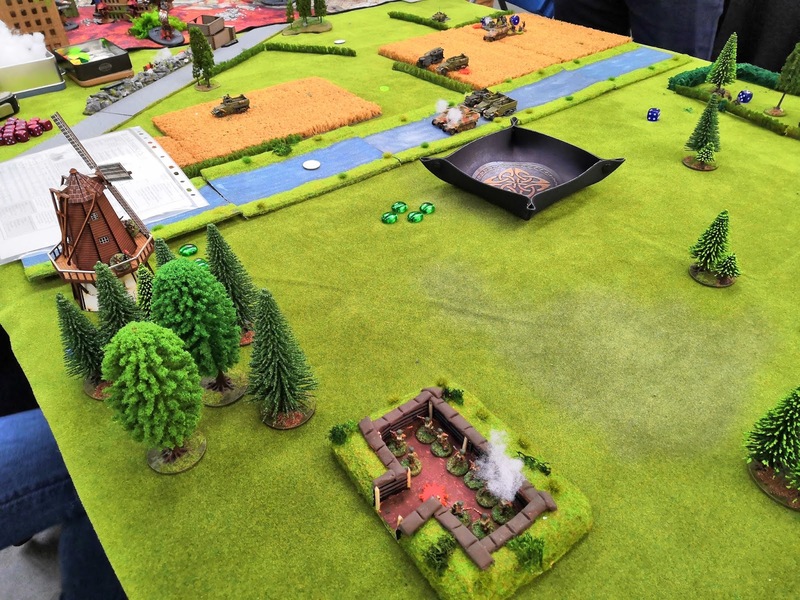 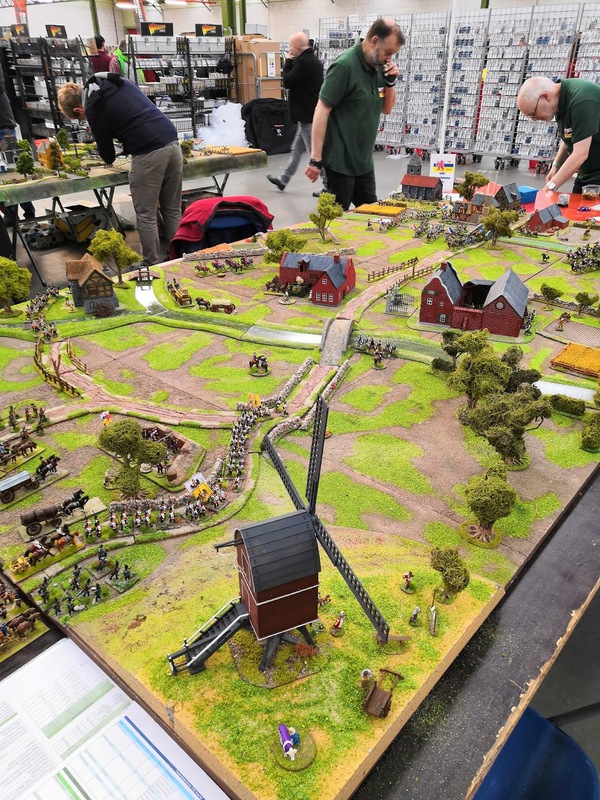 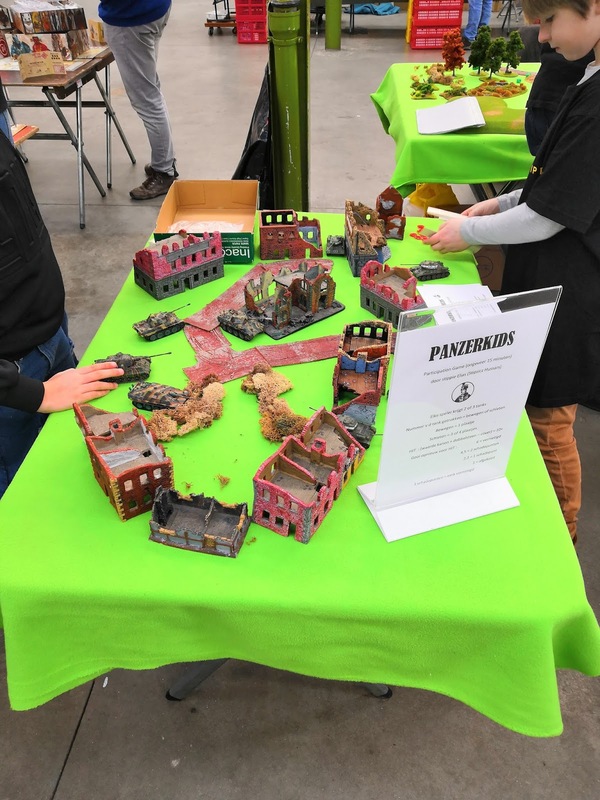 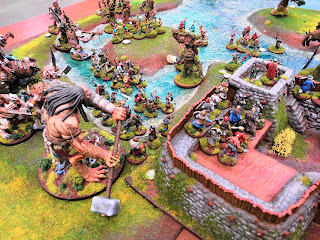 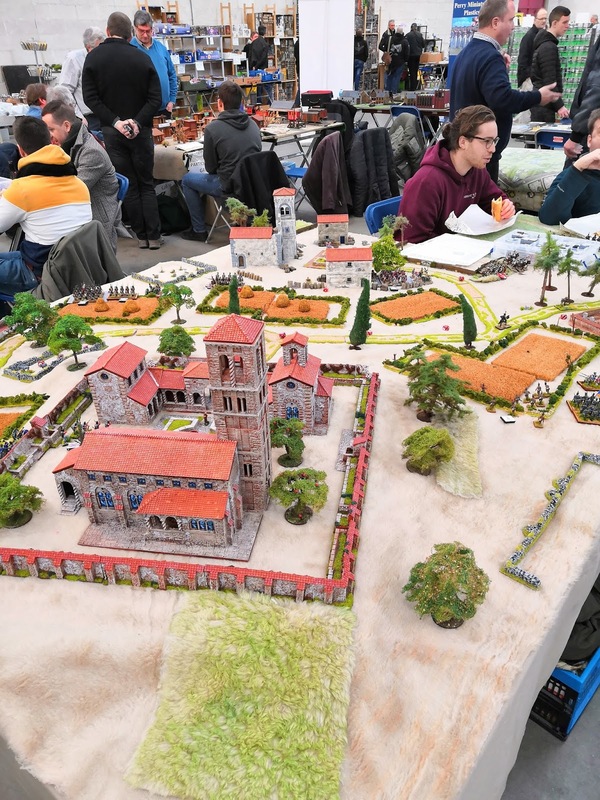 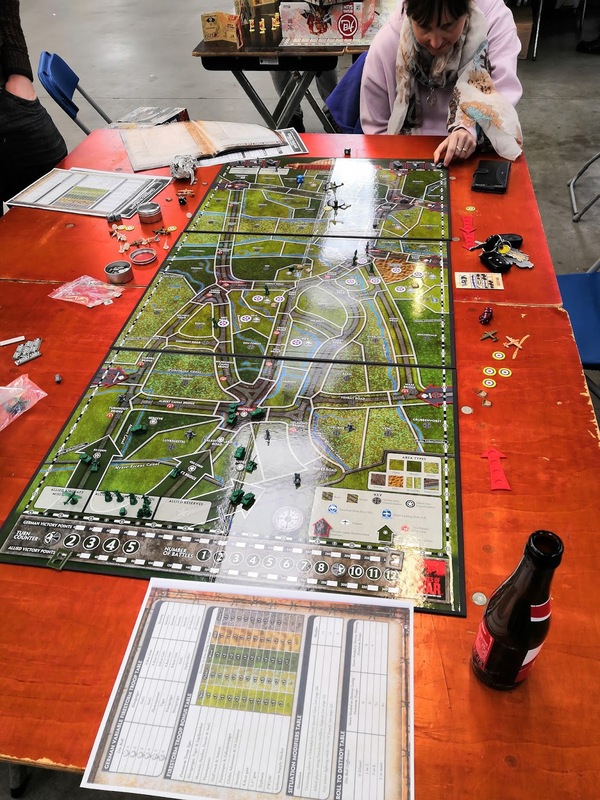 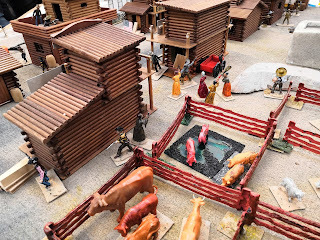 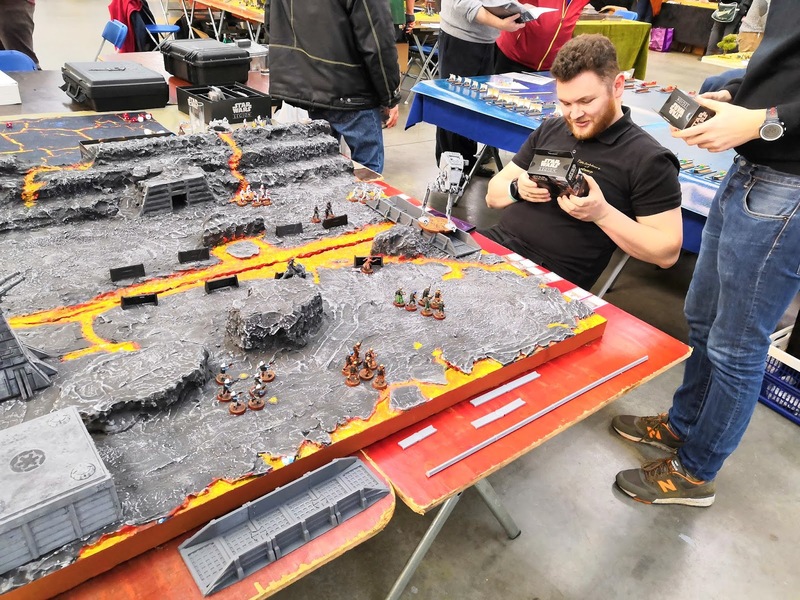 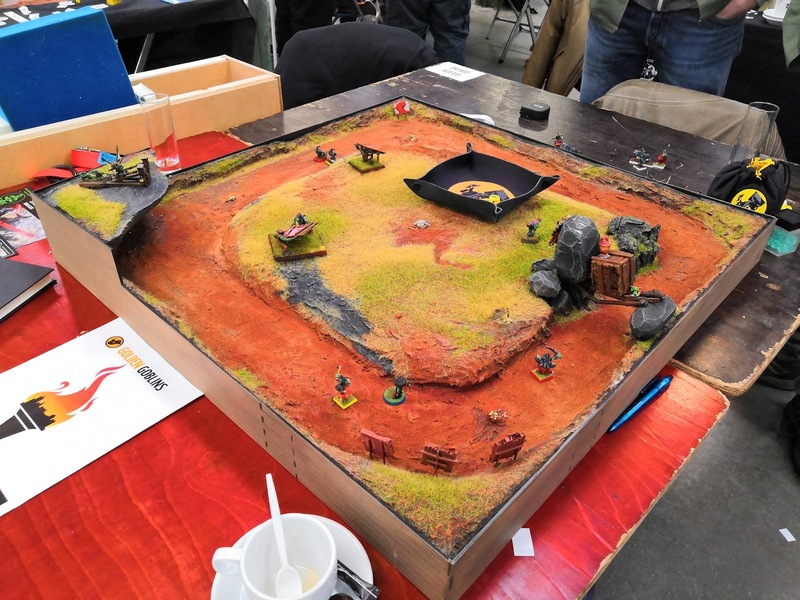 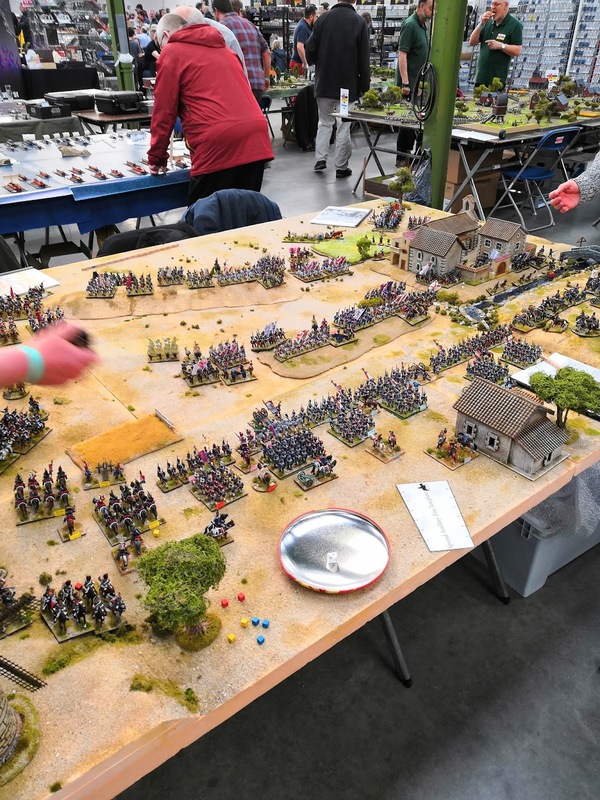 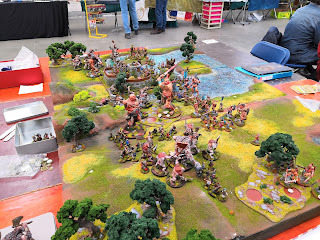 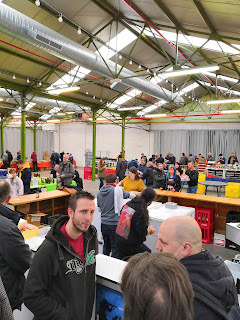 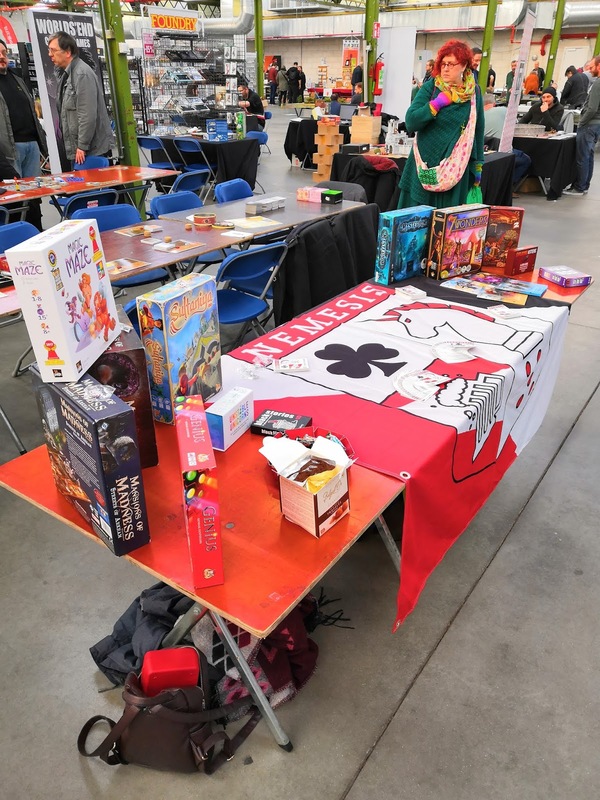 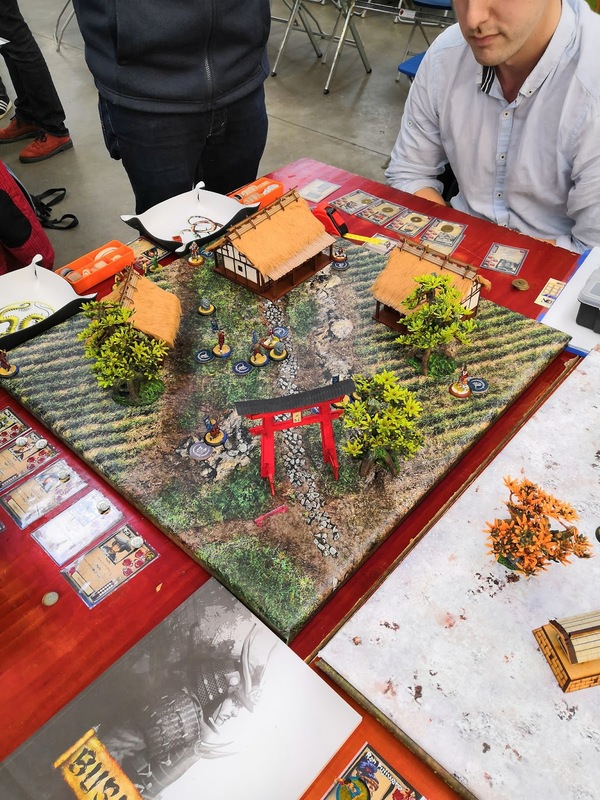 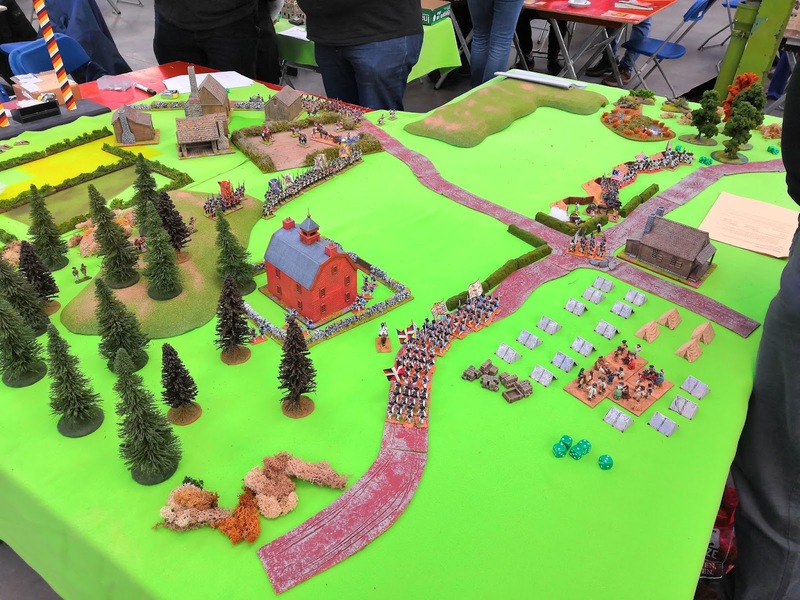 Held in the village of Merelbeke, the size and the venue are those of the fun kind, not to immense (like, our Crisis show for example) giving you a good chance for a chat and a look at games. 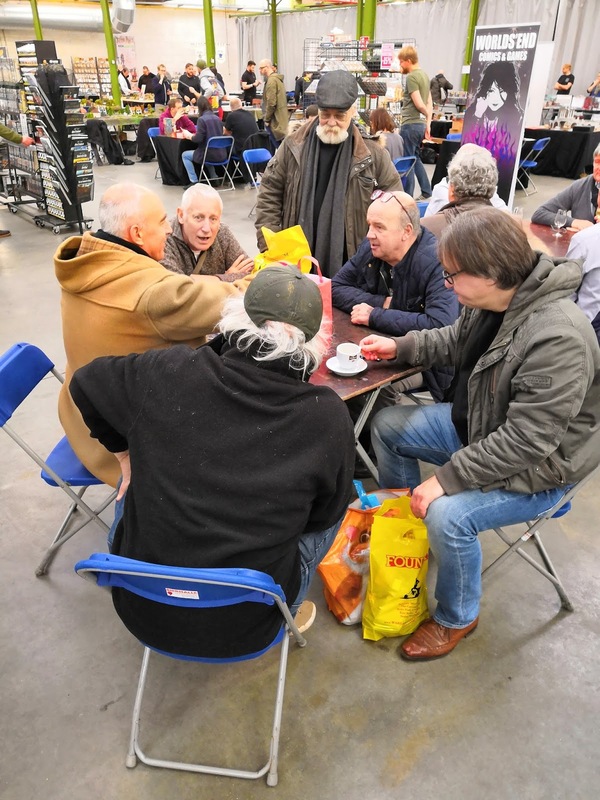 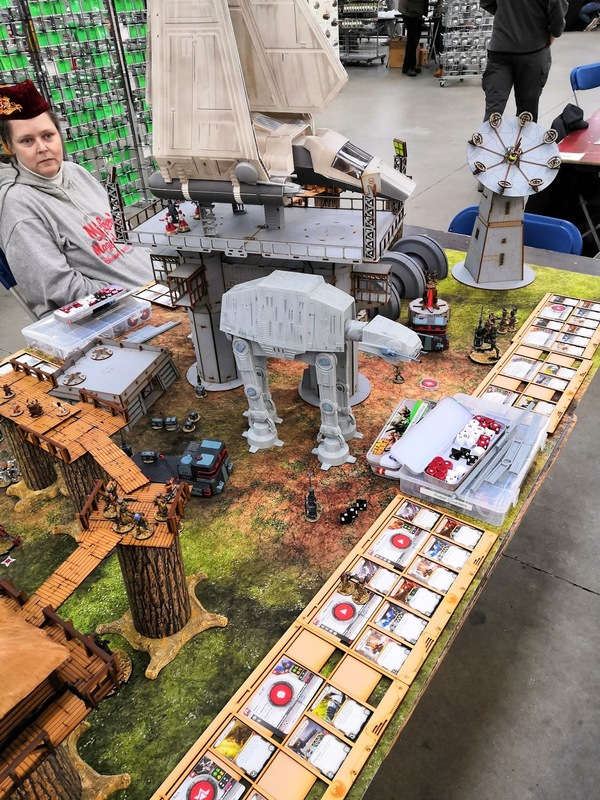 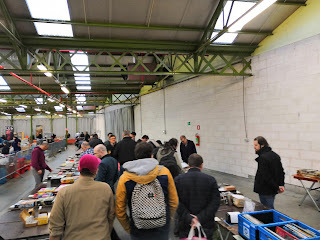 There was a dozen traders present (where we found some good deals, see below) and about two dozen demonstration and participation games. Entry was a modest 7 euros, and as you can see in the video of my loot below, I also bought two of the Gamer's Guild dice to "support the cause". 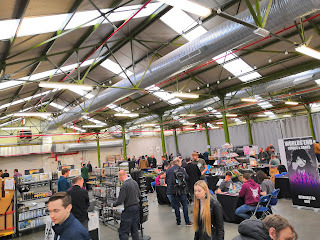 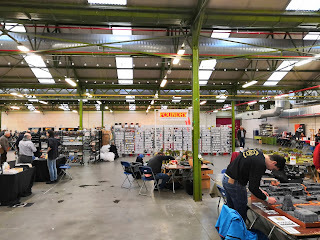 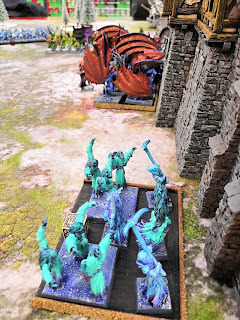 To give an example of the chatting, I was only 15 minutes there when I was talking to someone I never seen before about 6mm and 40k gaming, and how I am blessed with a GF with an intrest in the hobby. 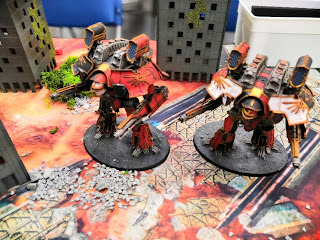 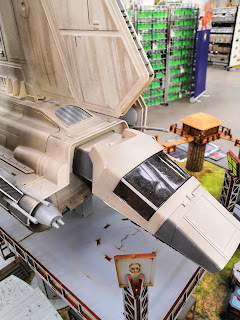 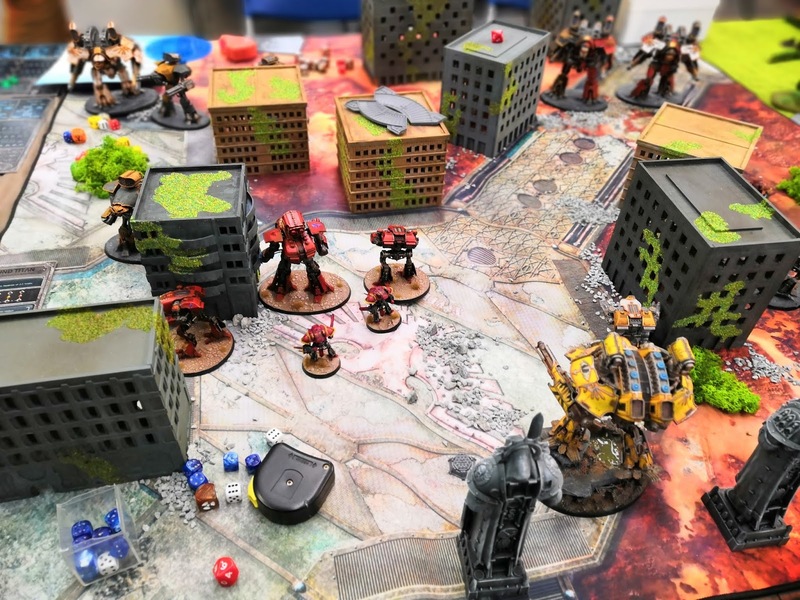 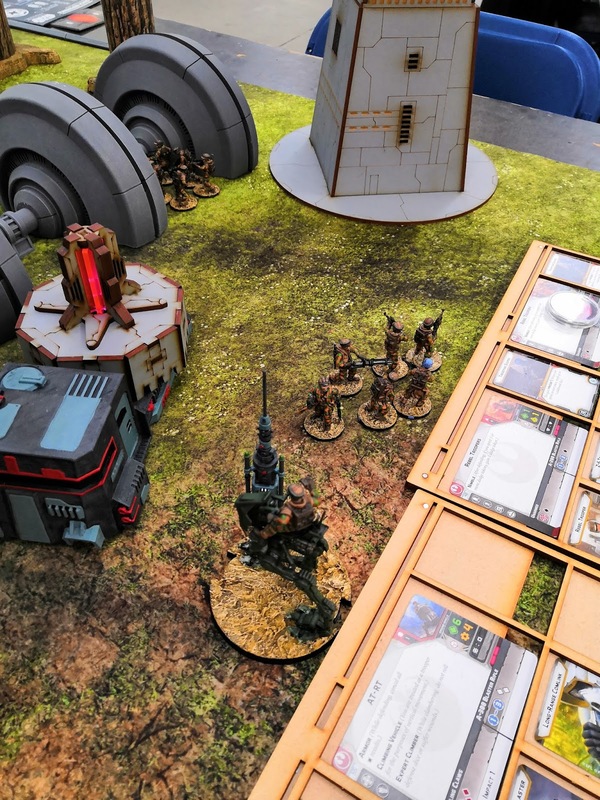 Adeptus Titanicus, a game that intrests both me and Nemesis, was on display. We are still contemplating buying the actual game, or at least the titans up to the Reaver in size for Future War Commander. 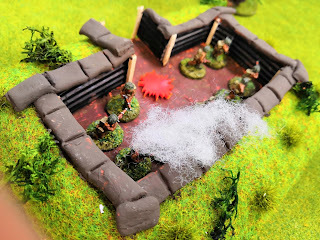 A lot of games had world war 2 as a theme, so inserted amongst all the pictures here, you will see various battles, mostly in scale 28mm. 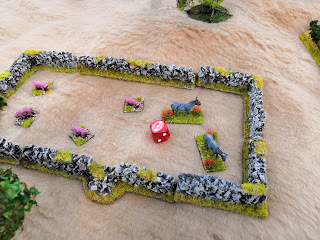 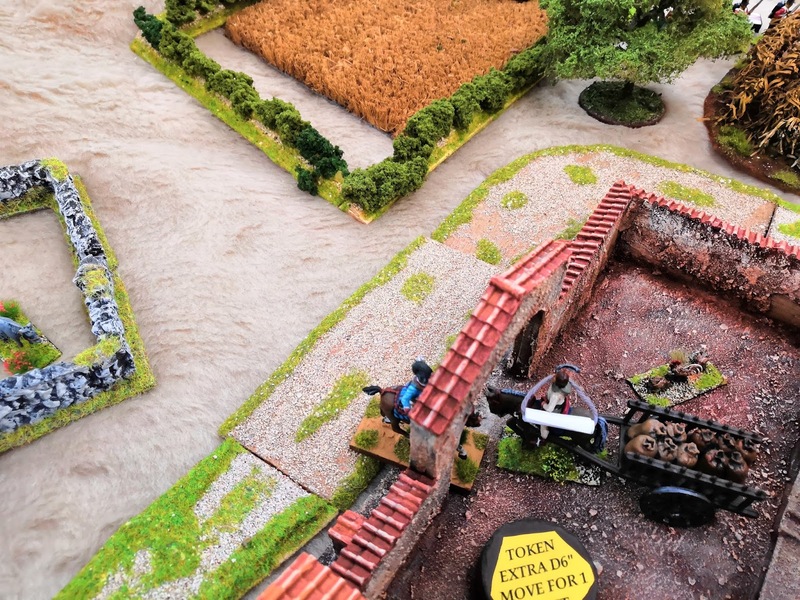 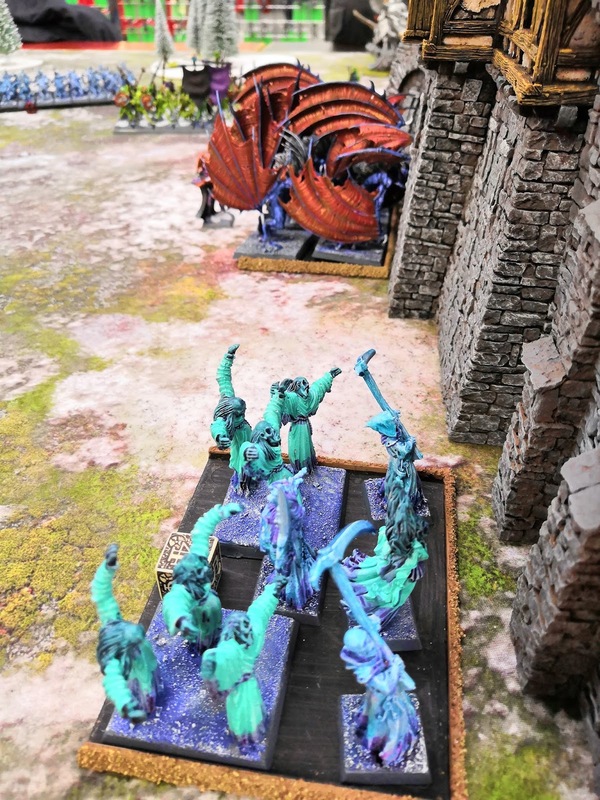 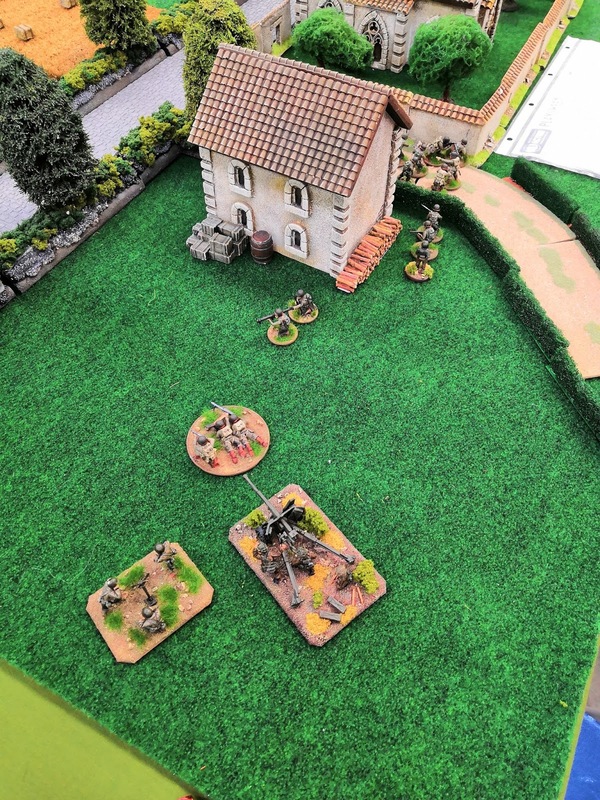 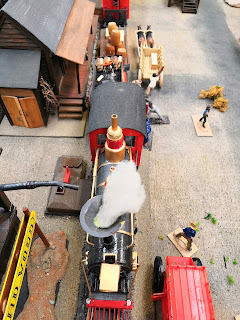 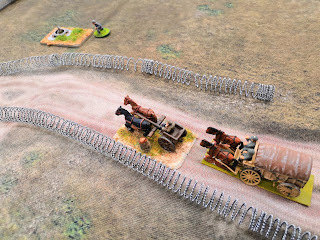 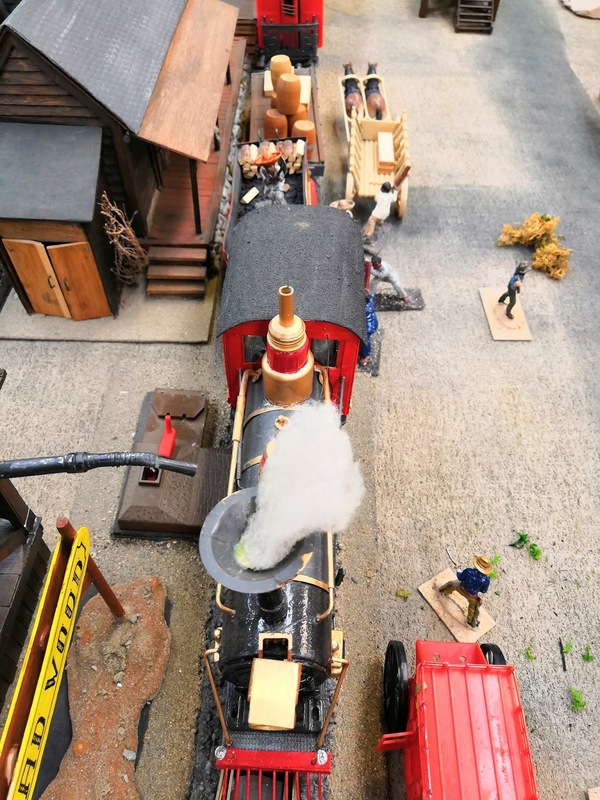 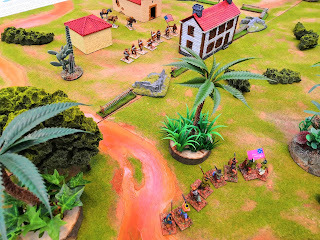 Skirmish games like Bolt Action are really popular these days. 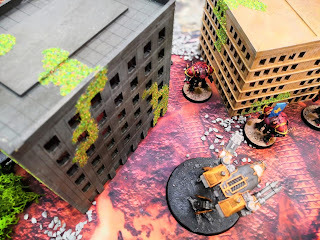 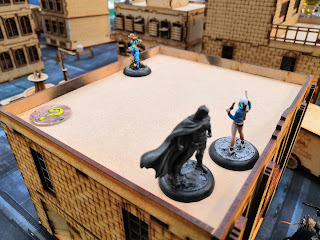 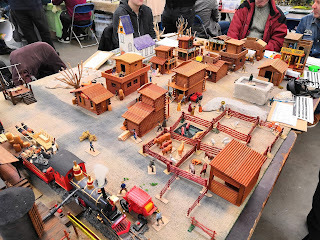 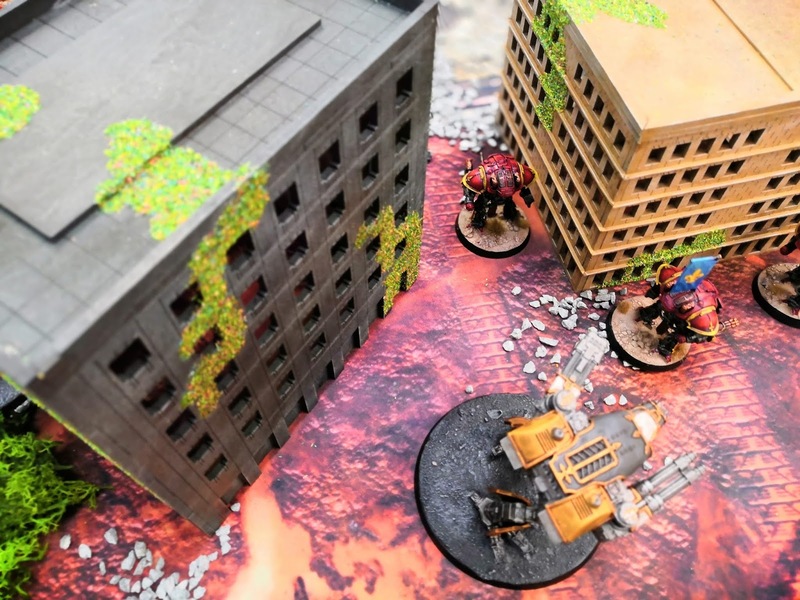 A 35mm Batman game using MDF buildings and the Noble models. A Song of Ice and Fire, lovely models, but way to expensive for my taste. 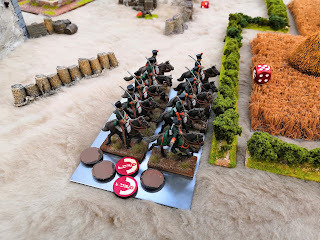 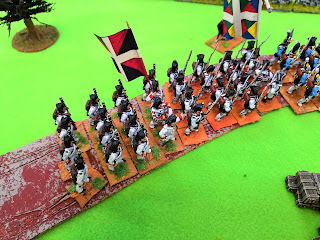 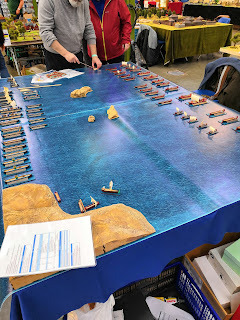 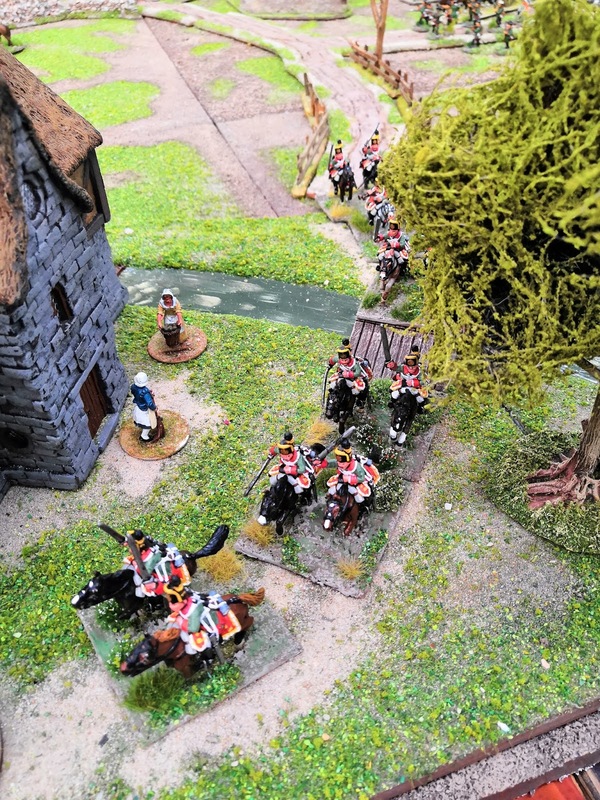 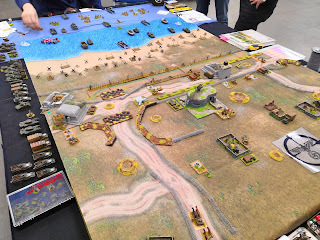 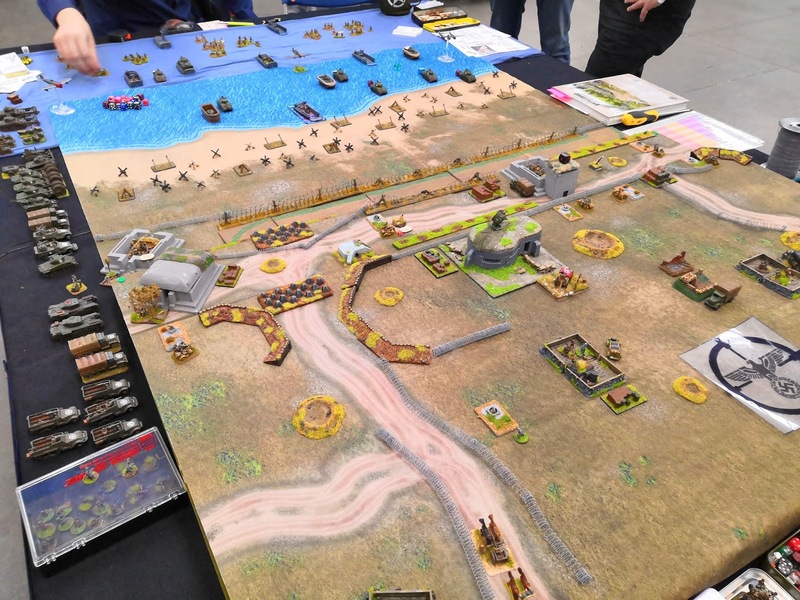 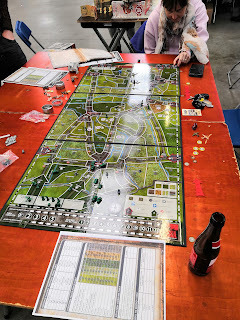 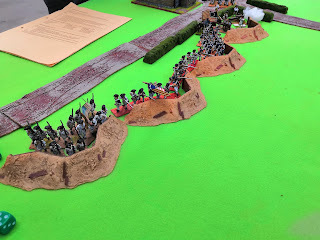 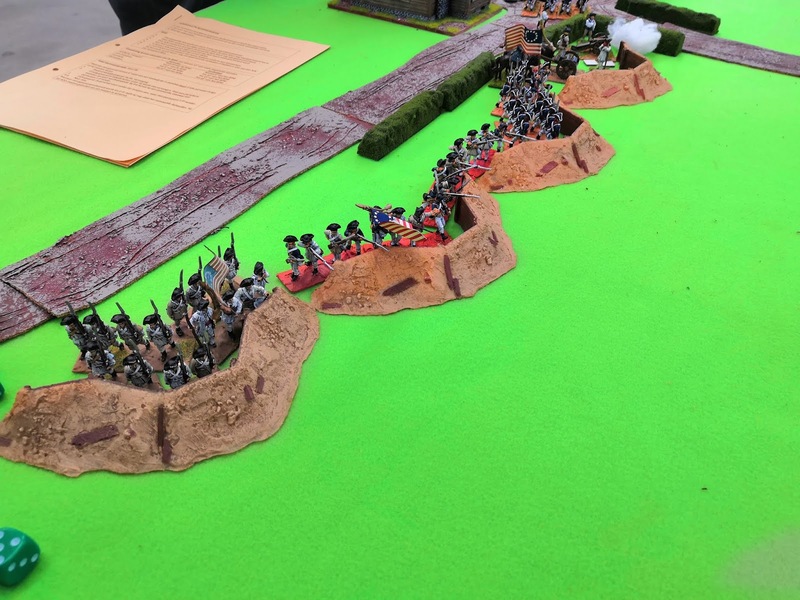 Napoleonics was well presented as well at the convention, as I saw a few games being played. 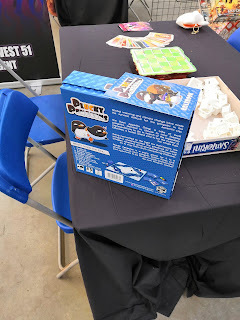 A game for the younger players was presented as well, to introduce them to the lovely hobby of ours. 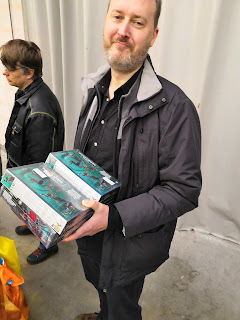 Nice report, thanks! It was my first visit to WarCon, but a pleasant surprise. 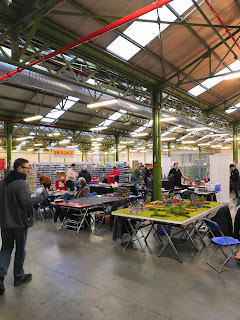 Quite a good collection of traders and games, and a very spacy hall. 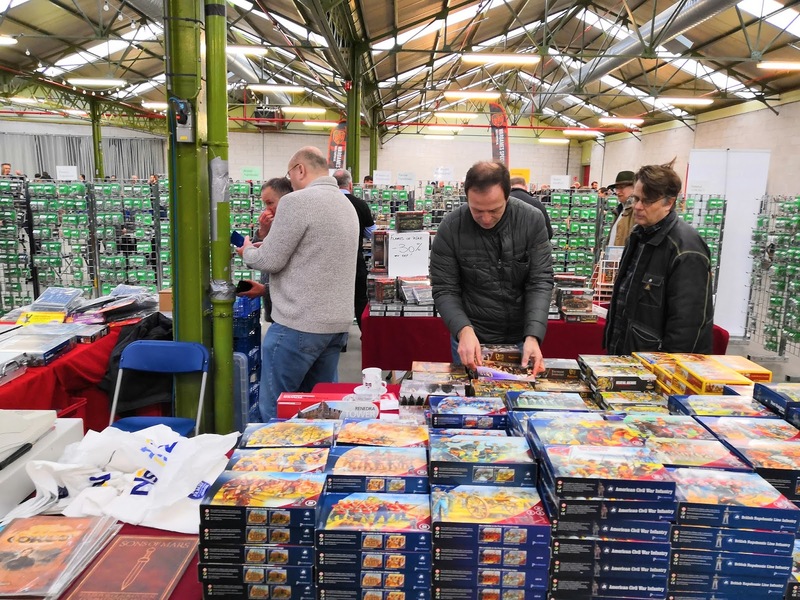 It is nice to be able to look around at some of the games and trade stands without bumping into soms one, and at the same time it never seemed as if attendance was poor. 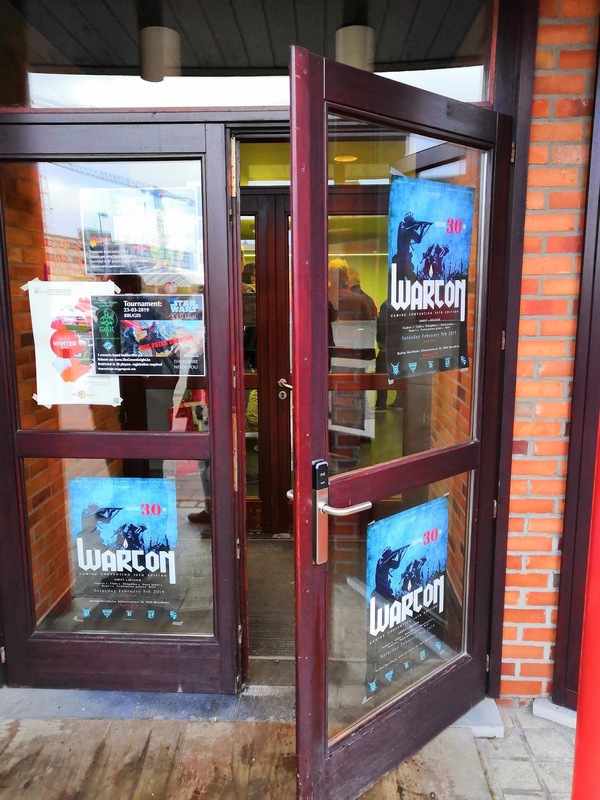 Ample parking too. 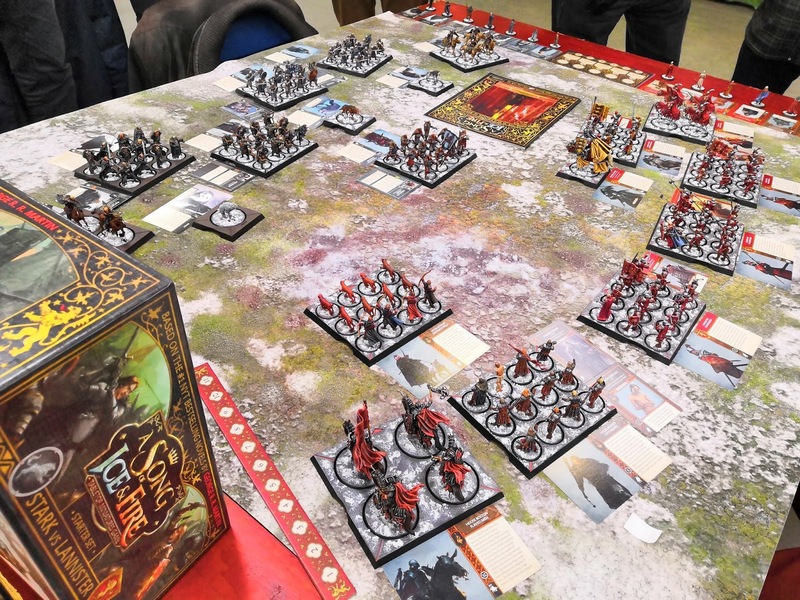 I would have liked to see more games in the smaller scales, but that's how it is, I suppose. 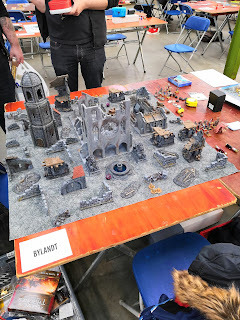 I will definitely be back next year!